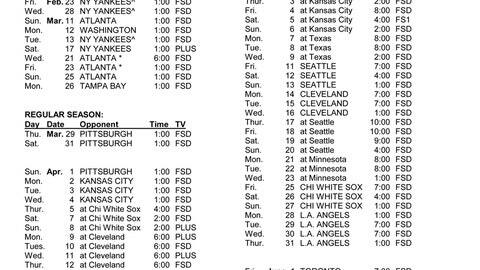 Every game on the Detroit Tigers’ 2018 regular-season schedule will be televised, including 159 originated by FOX Sports Detroit, two games on FOX Sports 1 and one selected for the FOX Saturday Baseball Game of the Week. You will also be able to stream any Tigers game that airs on a FOX network on FOX Sports GO. 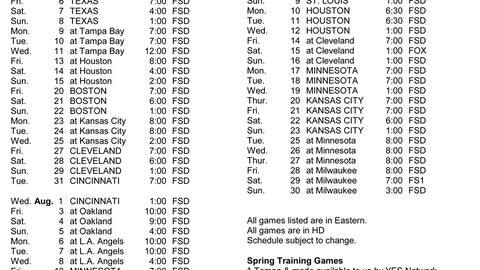 FOX Sports Detroit’s coverage of the Tigers, presented by Belle Tire, leads off with 10 spring training games, followed by the March 29th home opener vs. the Pittsburgh Pirates. Our Opening Day coverage starts at 11 a.m. The network will also feature special telecasts to celebrate the 50th anniversary of the ’68 Tigers and the number-retirement ceremonies for Jack Morris (Aug. 12) and Alan Trammell (Aug. 26).